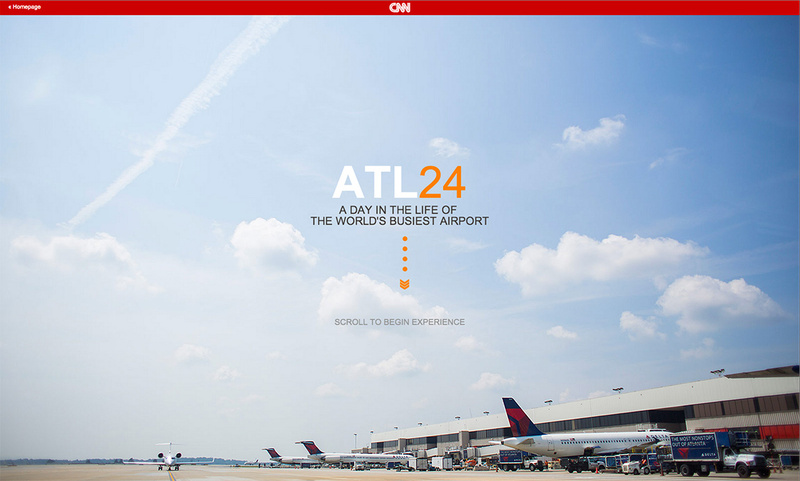 A One Pager commissioned by CNN to storyboard what 24hrs in the world’s busiest airport would be like. I must admit I expected more from the design – that uses Arial as heading and body font – but the chronological menu is neat and the big images along with the stories are fascinating. Airports are gateways to journeys, not the final stop. But for 24 hours, we made the world's busiest airport our destination -- and discovered a world with its own culture, marketplace and transit system, people who make it hum, even a taste of the exotic. We invite you to join us on our journey.